Comfortable, Spacious and Affordable. Big Moose Resort’s efficiency cabin provide 2 comfortable queen size pillow top beds, and come with a refrigerator, microwave, coffee pot, and include satellite TV and limited WIFI. New porch and bathroom with a spacious shower. Small couch with twin size sleeper. Sleeps 4 or family of 5. Rates vary from low season rate $100 night to high season rate of $135 night. General: New Carpet, New Porch, Bathroom with Spacious Shower. 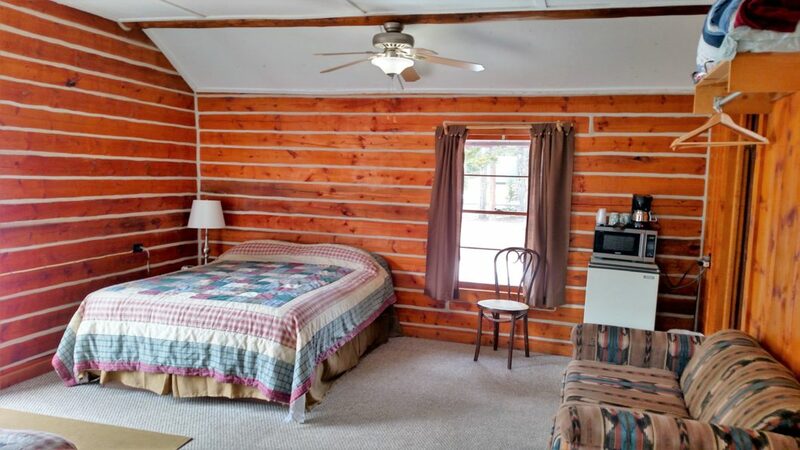 Utilities: Refrigerator, Microwave, Coffee Pot, includes Satellite TV and limited WIFI.